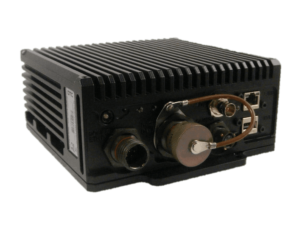 Domo Tactical Communications (DTC), a specialist in wireless communications, has launched a Robust Mobile (RM) variant of the market-leading NETNode Phase 5 IP Mesh Radio. Phase 5 is the latest generation of DTC’s NETNode Mesh family, offering built-in dual HD video encoders and Multi In Multi Out (MIMO) capability to deliver the NETNode’s highest ever data throughput. DTC’s Mesh technology provides high-capacity IP connectivity in challenging environments and sits seamlessly alongside existing public or private infrastructure. DTC’s Mesh penetrates into non-line-of-sight (NLOS) environments making it ideal for battlefields when the need to connect and communicate is mission critical. The NETNode 5 RM is designed in response to the growing military vehicle market where Armoured Fighting Vehicles (AFVs), Self-Propelled Guns and Battlefield assets require robust encrypted, tactical, mobile communication links for the transfer, exchange and dissemination of live video, Fire Control (FC) or Battlefield Management Systems (BMS) data. DTC’s Mobile Adhoc NETwork (MANET) IP wireless mesh radios enable air, land and sea connectivity; allowing UAVs, AFVs, dismounted soldiers, maritime platforms to connect together across the battle space. The NETNode 5 RM is also feature-rich, offering a built-in GPS receiver and composite and SDI video inputs. It is interoperable with DTC’s existing phase 3, 4 and 5 Mesh products, providing a stress-free migration path for existing users.